Modernists became infatuated with material, structure, and dramatic reinventions of human use based more on utopian aesthetics than improving the functional experience of real people. Rather than recapturing the humanist focus on function, many postmodern architects and the new iconic architects of recent years have turned even further inward, either retreating into historical ornament or blasting forward into even less functional realms of artistic expression. 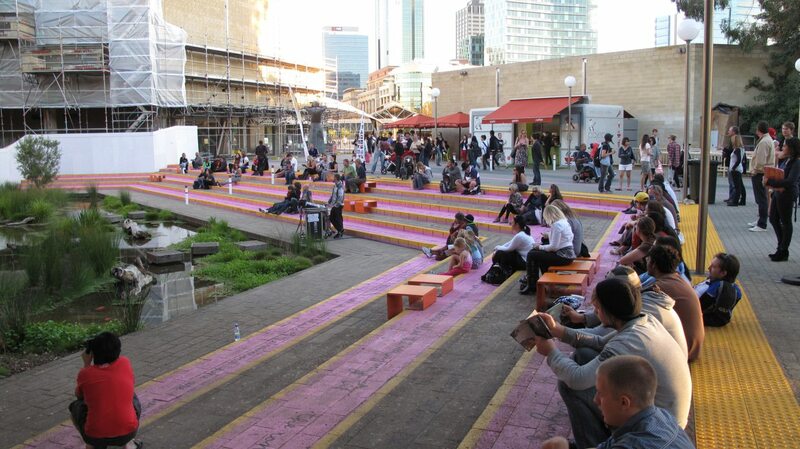 To recover those humanist roots, architects and planners must pay closer attention to local knowledge and preferences, and consider ways in which their efforts and designs can support the creation of authentic, meaningful places for people to use and enjoy. Beyond the limited goal of making “bold” and “innovative” aesthetic expressions, good design can help us achieve solutions to many of today’s major urban issues, from environmental destruction to economic decline to social alienation. Architecture and planning fall far short of their potential for public leadership when professionals focus all of their talent on creating an artistic statement, without engaging local stakeholders in co-developing solutions. How can we promote a higher professional standard for planners and designers? There are small glimmers of hope all around us that show how a new Architecture of Place is possible. In the 1960s and ‘70s, thinkers like Jacobs, William H. Whyte, Jan Gehl and Christopher Alexander led the early rebellion against the neglect of function. 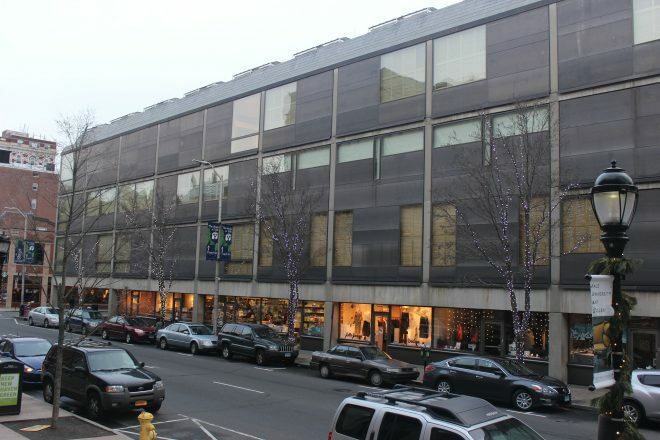 We can learn from a handful of modern classics from the same era too, like Louis Kahn’s Yale Center for British Art, which works as humanely as a gallery as it does a slice of urban fabric. Likewise, Toronto’s St. Lawrence neighborhood, built in the 1970s and ‘80s, offers a largely unheeded roadmap for how cities can build an entire neighborhood from the ground up without making it a denatured non-place, set apart from the urban life around it. More recently, buildings like Renzo Piano’s addition to the Isabella Stewart Gardner Museum highlight the possibility of a careful, collaborative design process working with building users. The addition is so light and airy, so humane and alive with diverse uses, that it feels like pure “program” (in the lingo of architects). A greenhouse, a comfy “living room,” a café, a store, offices, galleries, an auditorium—all wrapped in glassy common spaces. Each area feels packed with details that could only come from the minds of museum curators and administrators. 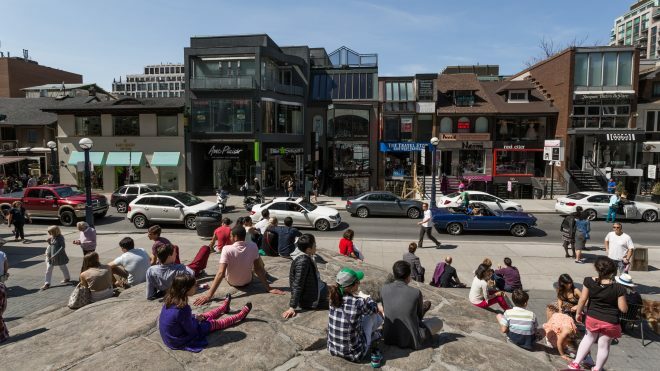 Initiatives like the reinvention of the Perth Cultural Center and the Tower Renewal program in Toronto, remind us that “bad” buildings can change too. With creativity and experimentation led by the community, maligned mid-century buildings can become as well-used and well-loved as the Victorian homes and factory lofts protected by preservationists today. But as these two programs illustrate, the key is gradual adjustments made by many minds—not freezing these places in amber. Finally, organizations like the Nordic Urban Design Association, the Environmental Design Research Association, and The City at Eye Level aim to forge new shared approaches to city-building, and they know that changing the architectural profession is not enough. We often give architects too much credit for our place-poor communities. The visibility (and high-profile scandals) of a handful of architects overstates how much control they have over what gets built. The reality is that the vast majority of new buildings are neither design-led nor place-led endeavors. Cities mostly build themselves on autopilot, guided by economics, regulations, subsidies, planning processes, politics, and design conventions that limit the range of possible outcomes, both in terms of artistry and community. While most individual architects may not have much control over these outcomes, design ideas do have an enormous impact on our built environment. As Jane Jacobs once said, “First comes the image of what we want, then the machinery is adapted to turn out that image.” Our collective images—of the good life, the public good, and how to achieve them both—shape our everyday city-building machinery. So what do we want to build? How do we need to adapt our complex machinery to get what we want?